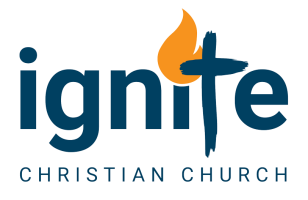 Apathy In The Bible Archives - Ignite Christian Church is one of the most prevalent weaknesses of the modern age because all around the world people simply don’t care about things that were once important to them… unless it directly affects them, then they selfishly care. The greatest danger we face in our world today is not nuclear bombs, not terrorism and not financial collapse. The greatest danger to our society is apathy! Andrew Strom touched on this last week, and I felt to develop this whole area today. The number one tool the enemy uses to diffuse and even destroy churches is division. If he can get pastors and leaders fighting, and destroy unity, he can win. But the second biggest tool he uses is apathy among Christians, and like the rest of the world, we are so apathetic. In a sense, we spend so much time on so many apps, it’s pathetic! I started a meeting last week with a nice, hot cup of coffee. But I forgot about it, and when I got back to it, it was disgusting. I like hot coffee, I even like ice coffee, but in between… yuck! Jesus rebuked the church at Laodicea I’m this way… Revelation 3:15-17 (ESV Strong's) “‘I know your works: you are neither cold nor hot. Would that you were either cold or hot! So, because you are lukewarm, and neither hot nor cold, I will spit you out of my mouth. For you say, I am rich, I have prospered, and I need nothing, not realizing that you are wretched, pitiable, poor, blind, and naked. That’s us! We have so much, so many modern conveniences, so many comforts, and so we are content to float in our faith. We’re not cold towards God, we’re Christians, but we’re certainly not hot for God. We get passionate about other things, like work, passionate about football, passionate about our kids, passionate even about our church, but when those around us promote and condone evil, we don’t stand for what is right, we bend to try and accommodate them. The church today is lukewarm! 19 of the 21 greatest societies in history perished not because of external conquest but because of internal decay. They died not because an enemy conquered them, but because they rotted morally from within, and this was fuelled by the apathy of the people. Our apathy will be judged. Judgment is a fundamental theme in the Bible, but it is an unpopular one in the church. There are several judgements written in the Bible. The Great White Throne judgement in Revelation 20 is for all mankind at the end of time, and this is where God with a broken heart will say to many, “Depart from me I never knew you.” The criterion is not how good you have been, how nice, or how kind, the only criterion to get to heaven, the only way to experience eternal life, is to answer this question… have you made Jesus Lord of your life? Those without Christ face eternity in the torment of hell… Revelation 20:15 (ESV Strong's) And if anyone's name was not found written in the book of life, he was thrown into the lake of fire. But another terrifying judgement is for believers, it’s for you and I, not for our salvation, but for reward. It is called the judgement seat of Christ, and the Greek word for seat is BEMA, which is a raised platform, similar to what we see at the Olympics, where rewards like gold medals are given. 2 Corinthians 5:10 (ESV Strong's) For we must all appear before the judgment seat of Christ, so that each one may receive what is due for what he has done in the body, whether good or evil. Paul said in Romans 14:10-12 (ESV Strong's) Why do you pass judgment on your brother? Or you, why do you despise your brother? For we will all stand before the judgment seat of God; for it is written, “As I live, says the Lord, every knee shall bow to me, and every tongue shall confess to God.” So then each of us will give an account of himself to God. So what does the judgement seat of Christ entail? Let’s look at this… 1 Corinthians 3:11-15 (ESV Strong's) For no one can lay a foundation other than that which is laid, which is Jesus Christ. Now if anyone builds on the foundation with gold, silver, precious stones, wood, hay, straw— each one's work will become manifest, for the Day will disclose it, because it will be revealed by fire, and the fire will test what sort of work each one has done. If the work that anyone has built on the foundation survives, he will receive a reward. If anyone's work is burned up, he will suffer loss, though he himself will be saved, but only as through fire. Let me make this clear. No one is saved by their own efforts, or good works, because it is free. Salvation is free, Billy Graham said, but it’s not cheap. We know we deserve to die, we deserve to go to hell, every one of us, and no works we do, no kindness we show, no religion we follow can save us. Ephesians 2:8-9 (ESV Strong's) For by grace you have been saved through faith. And this is not your own doing; it is the gift of God, not a result of works, so that no one may boast. If you don’t know Jesus today, then salvation is a free gift, and it’s yours today if you want it. Just ask in faith and Jesus can and will save you from the terrifying result of your sins. That’s the foundation we all have, but the next question is sobering… what are we building on this sure foundation? Now according to that passage, we can choose what we build. We can either build good things, God things, or build our own works, which will amount to little in eternity. The Bible says fire will test our works, “If the work that anyone has built on the foundation survives, he will receive a reward. If anyone's work is burned up, he will suffer loss, though he himself will be saved, but only as through fire.” You can be saved, but still useless and you might get to heaven, but you will suffer loss! And here’s the thing, what we build determines our reward. So what are you building? Is it eternal? Is it gold or silver or precious gems, or is it wood hay and straw? Do you even care? What makes the difference? The heart behind what you do, that’s the difference. If you pursue things in your life just for your own ends, if you’re apathetic to what God deems as important, that’s wood, hay and straw. If you serve Jesus, do you think that’s going to be gold, silver and costly stones? Well, it could be, but it may not be. It all comes down to the motivation, why you are doing these good and godly things. Jesus tackles this front on when He says, Matthew 6:1 (ESV Strong's) “Beware of practicing your righteousness before other people in order to be seen by them, for then you will have no reward from your Father who is in heaven. Don’t think going to church or singing in the worship team or turning up at church lunches or putting money in the offering is going to carry an eternal reward. If your motivation is self promotion, or trying to get people to like you, you are building something worthless. But many Christians don’t even try and build anything! They say to themselves, “Well I’m saved, and that’s all I’m after.” They want heaven, they want fellowship with friends, they want a nice life with lots of love and happiness and good things. They are apathetic, they don’t care that millions are going to hell, and they don’t stand for anything that might make them different or uncomfortable. Charles Spurgeon said, “have you no wish for others to be saved, then you’re not saved yourself, be sure of that!” Apathy is what robs the church of its mission, and it robs believers of the power of the Holy Spirit and it robs you of eternal rewards. So how can God turn the weakness of apathy into a strength in your life? Discouraged people often give up and this causes apathy. Often apathy is a result of fear, and just wanting to give up and walk away! Most people start off life as a kid wanting to be someone important, someone significant… a doctor, a fireman, a pastor, a mum. But after a little time, after adults telling you you can’t make a difference really, after failures and discouragements, you just become apathetic. If apathy is based around discouragement, the first step is to overcome it is to remember the past victories you’ve had, and what God has done for you in the past. Psalms 77:11 (ESV Strong's) I will remember the deeds of the Lord; yes, I will remember your wonders of old. Look back at your life. There was a time when you had victories, when you did make a difference, and there will be that time again. Don’t settle into apathy look back and remember the potential you once had. In Jesus, you can become great in His Kingdom again if you care enough to change see it through. Seeing things from God’s view gives incredible clarity. He sees the beginning and the end, the reasons why and the motivations behind everything you do, and you cannot fool Him. I know when we look at our nation right now it seems bad, it seems destined for destruction. But I’m telling you, Jesus is Lord over Australia, no matter what the politicians or media say. Sometimes we get tired, we get weary and apathy grows, but listen to what Paul said… 2 Corinthians 4:16-18 (ESV Strong's) So we do not lose heart. Though our outer self is wasting away, our inner self is being renewed day by day. For this light momentary affliction is preparing for us an eternal weight of glory beyond all comparison, as we look not to the things that are seen but to the things that are unseen. For the things that are seen are transient, but the things that are unseen are eternal. Many things you might judge today as important just aren’t in 10 years time, or in eternity! Some things you condone and float along with right now have great importance far beyond the current agenda. Seeing things from God’s point of view shows you what is truly important in the long run, and how petty our current issues really are. Seeing this way helps you to resist becoming apathetic to important things. If you start to see things God’s way, then you will see that you have a destiny. How can we be apathetic if we know that there is greatness within us, greatness in our future? Lose sight of your destiny, and you become apathetic. Regain it, and you can move forward towards your destiny. Jeremiah 1:5 (ESV Strong's) “Before I formed you in the womb I knew you, and before you were born I consecrated you; I appointed you a prophet to the nations.” Then in Psalm 139, David talks about how we are fearfully and wonderfully made in the womb, and then he says this… Psalms 139:16 (ESV Strong's) Your eyes saw my unformed substance; in your book were written, every one of them, the days that were formed for me, when as yet there was none of them. In you come to Jesus and make Him Lord of your life, He promises He has a great and wonderful destiny for you. You won’t feel good enough, but it’s His power and His Spirit within you. And destiny is not something that randomly happens to us, what some call fate. No, destiny is not controlled by circumstances, it is the product of choices… your choices. Some of you want a great destiny, but are discouraged and apathetic because it hasn’t happened as yet for you. This is because destiny is about the right choices, the God choices. Your destiny in Christ requires your obedience to Christ. If you are feeling apathetic towards life, start today, start right now by making a choice… Lord, I choose to obey You, no matter what! This world wants to conform you into its own image. It doesn’t want you to have an opinion different to theirs, it doesn’t want you to think, or rock the boat. It wants you apathetic, consumers living and dying with barely a ripple. But I don’t want to be like that, and I hope you don’t either! It’s time for us to rise up, to believe big, to be unashamed of the gospel, because it is the power of salvation for all who believe. I’m not content to float along, earn an income have a nice family, a nice house, nice kids, nice grandkids and then die. I want to go to heaven, and my aim is to take as many people with me as I can. If you are happy being apathetic, then you’re in the wrong church, because Ignite is filled with people who want to change the world! I for one will not go quietly into the night. I will not stand by and watch the country I love descend into moral anarchy without standing up for what is true and right and honourable. If you are apathetic, then this is your opportunity to change. This is our moment, and we are the people to join with to make a difference. This is our moment, and we stand at a pivotal time in history… it’s not a time to float along. This is not the time to cower in the corner, it’s not the time to float from Sunday to Sunday asking God to bless us. No, today is our moment, our piece of history, our time, the moment that future generations will look back on and say, “This was their finest hour!” Make no mistake.. Romans 14:12 (ESV Strong's) So then each of us will give an account of himself to God. We will all be judged, at the Great White Throne or the Judgement Seat of Christ. If you don’t know Christ, the Bible says you are going to an eternity in hell, separated from everything good forever. Remembering all the times you could have come to Jesus for eternity is like the hell of hells, and I cannot finish this message without inviting you to come to Jesus. Don’t live a worthless life in mundane apathy and conformity, come to Jesus now and change the world! For the rest of us, I’m going to challenge all of us to stand for what is right, to step up and become all we can be in Christ, wherever we are. David once said, “I will not give to the Lord that which costs me nothing.” I’m sick of hearing about people treating God like a celestial Santa Clause. To paraphrase JFK, “Ask not what your God can do for you, ask what you can do for your God!” If you want to float along in apathy, that’s your choice, but there will be consequences. If you want to make your life count for Jesus, come forward and stand for Him! Apathy is one of the most prevalent weaknesses of the modern age because all around the world people simply don’t care about things that were once important to them… unless it directly affects them, then they selfishly care. The greatest danger we face in our world today is not nuclear bombs, not terrorism and not financial collapse. The greatest danger to our society is apathy! Andrew Strom touched on this last week, and I felt to develop this whole area today. The number one tool the enemy uses to diffuse and even destroy churches is division. If he can get pastors and leaders fighting, and destroy unity, he can win. But the second biggest tool he uses is apathy among Christians, and like the rest of the world, we are so apathetic. In a sense, we spend so much time on so many apps, it’s pathetic! I started a meeting last week with a nice, hot cup of coffee. But I forgot about it, and when I got back to it, it was disgusting. I like hot coffee, I even like ice coffee, but in between… yuck! “‘I know your works: you are neither cold nor hot. Would that you were either cold or hot! So, because you are lukewarm, and neither hot nor cold, I will spit you out of my mouth. For you say, I am rich, I have prospered, and I need nothing, not realizing that you are wretched, pitiable, poor, blind, and naked. That’s us! We have so much, so many modern conveniences, so many comforts, and so we are content to float in our faith. We’re not cold towards God, we’re Christians, but we’re certainly not hot for God. We get passionate about other things, like work, passionate about football, passionate about our kids, passionate even about our church, but when those around us promote and condone evil, we don’t stand for what is right, we bend to try and accommodate them. The church today is lukewarm! 19 of the 21 greatest societies in history perished not because of external conquest but because of internal decay. They died not because an enemy conquered them, but because they rotted morally from within, and this was fuelled by the apathy of the people. Though they know God's righteous decree that those who practice such things deserve to die, they not only do them but give approval to those who practice them. This is our problem. This is the moral dilemma modern believers can’t figure out apparently. In the last 2 years, our society has passed laws allowing gay marriage, transgenderism among children as young as 5 and the legal abortion of babies up until birth. This is driven by a clear agenda from an organised and evil minority, with the aid of compromised politicians and a biased media. This shouldn’t surprise us. We live in a compromised world, after all! What should surprise us, and disgust us is that Christians, even Christian leaders, are trying to work these changes into a Biblical fabric, trying to compromise these clear violations of Scripture and morality into Christian belief. Even if we’re not doing them ourselves, we are giving silent approval to those who are doing them. How do we give this approval. By our apathy! As long as I’m not affected directly, I will remain silent and hence safe from the attacks of everyone else. I have homosexual friends, I have transgendering loved ones and I know many who have had abortions. I love them, I treat them with honour and respect and I accept them, but don’t ask me to agree with them. No, we must love these folk unconditionally, even if they hate and attack us, because you cannot hate them into the Kingdom of God, but today in the church we need people with backbone instead of wishbone! People who will stand for what is right, unapologetically, not because they’re being legalistic, or ignorant or out of date, but because God says it! But we need to be those who will do so in love and genuine concern for others. Apathy is killing our society, it’s killing the witness of the church and it’s killing individuals, slowly, steadily almost inevitably. And tragically, we just don’t care! And that’s the core of apathy… as long as I don’t personally suffer, let’s live and let live. I won’t rock the boat. I won’t stick my neck out, I won’t attempt to even mention the oncoming disaster, I will smile sweetly and watch you go to an eternity of hell, but hey, I’m ok, so I’m good. Many of us aim to float through life until we reach heaven! Last week a crazed gunman murdered 50 odd people at a Mosque in Christchurch and it was all over the news, and rightly so. In the 21 days leading up to this, more than 100 Christians were murdered, in fact more than 90,000 Christians give their life every year, and you and I hear nothing! Last week more than 200 Christians were killed in Nigeria in one killing spree by Muslims, and we hear nothing! Apparently it’s not newsworthy! Church people are more worried about trifling issues they have with each other, about the colour of the carpet or the quality of the coffee, while Christians are murdered and our society faces complete moral collapse, and we say nothing! Believers search YouTube or go from church to church trying to find teaching they like, while pastors try and preach what’s entertaining and will attract people. More than ever in church, we don’t need our ears tickled, we need our hearts set on fire! Our apathy will be judged. Judgment is a fundamental theme in the Bible, but it is an unpopular one in the church. But another terrifying judgement is for believers, it’s for you and I, not for our salvation, but for reward. It is called the judgement seat of Christ, and the Greek word for seat is BEMA, which is a raised platform, similar to what we see at the Olympics, where rewards like gold medals are given. Let me make this clear. No one is saved by their own efforts, or good works, because it is free. Salvation is free, Billy Graham said, but it’s not cheap. We know we deserve to die, we deserve to go to hell, every one of us, and no works we do, no kindness we show, no religion we follow can save us. If you don’t know Jesus today, then salvation is a free gift, and it’s yours today if you want it. Just ask in faith and Jesus can and will save you from the terrifying result of your sins. That’s the foundation we all have, but the next question is sobering… what are we building on this sure foundation? You can be saved, but still useless and you might get to heaven, but you will suffer loss! And here’s the thing, what we build determines our reward. So what are you building? Is it eternal? Is it gold or silver or precious gems, or is it wood hay and straw? Do you even care? What makes the difference? The heart behind what you do, that’s the difference. If you pursue things in your life just for your own ends, if you’re apathetic to what God deems as important, that’s wood, hay and straw. If you serve Jesus, do you think that’s going to be gold, silver and costly stones? Well, it could be, but it may not be. It all comes down to the motivation, why you are doing these good and godly things. Don’t think going to church or singing in the worship team or turning up at church lunches or putting money in the offering is going to carry an eternal reward. If your motivation is self promotion, or trying to get people to like you, you are building something worthless. Apathy is what robs the church of its mission, and it robs believers of the power of the Holy Spirit and it robs you of eternal rewards. So how can God turn the weakness of apathy into a strength in your life? Discouraged people often give up and this causes apathy. Often apathy is a result of fear, and just wanting to give up and walk away! Most people start off life as a kid wanting to be someone important, someone significant… a doctor, a fireman, a pastor, a mum. But after a little time, after adults telling you you can’t make a difference really, after failures and discouragements, you just become apathetic. If apathy is based around discouragement, the first step is to overcome it is to remember the past victories you’ve had, and what God has done for you in the past. I will remember the deeds of the Lord; yes, I will remember your wonders of old. Look back at your life. There was a time when you had victories, when you did make a difference, and there will be that time again. Don’t settle into apathy look back and remember the potential you once had. In Jesus, you can become great in His Kingdom again if you care enough to change see it through. Seeing things from God’s view gives incredible clarity. He sees the beginning and the end, the reasons why and the motivations behind everything you do, and you cannot fool Him. Many things you might judge today as important just aren’t in 10 years time, or in eternity! Some things you condone and float along with right now have great importance far beyond the current agenda. Seeing things from God’s point of view shows you what is truly important in the long run, and how petty our current issues really are. Seeing this way helps you to resist becoming apathetic to important things. If you start to see things God’s way, then you will see that you have a destiny. How can we be apathetic if we know that there is greatness within us, greatness in our future? Lose sight of your destiny, and you become apathetic. Regain it, and you can move forward towards your destiny. In you come to Jesus and make Him Lord of your life, He promises He has a great and wonderful destiny for you. You won’t feel good enough, but it’s His power and His Spirit within you. And destiny is not something that randomly happens to us, what some call fate. No, destiny is not controlled by circumstances, it is the product of choices… your choices. Some of you want a great destiny, but are discouraged and apathetic because it hasn’t happened as yet for you. This is because destiny is about the right choices, the God choices. Your destiny in Christ requires your obedience to Christ. If you are feeling apathetic towards life, start today, start right now by making a choice… Lord, I choose to obey You, no matter what! When you come to Christ you receive the Holy Spirit as a deposit on the promise of eternal life. But if you yield to the Holy Spirit, you don’t just get pie in the sky when you die by and by, but you get this incredible power to live your life in victory. And with the Spirit comes unique gifts and abilities and callings that can transform the effect you have on the world, and lead you into amazing ministries for Him. Spiritual gifts are given by the Holy Spirit, so get filled and get ready to move into something great for God. When you come to Jesus, His Spirit places gifts in your life, and these gifts are for you to bless those around you. But how can you discover your Spiritual gifts and how you can serve instead of floating Sunday to Sunday on a sea of apathy? We have a course Fiona runs called 201. It’s not perfect, but it is a snap shot that may reveal your unique spiritual gifts. When you do this, our leadership then prays and opens doors for you and before long ministries will open in the area you love and are gifted in. So don’t be apathetic, be ignited and get in the game. Stir up your gifts, and keep seeking God and you will move from apathy to doing something great for Jesus. This world wants to conform you into its own image. It doesn’t want you to have an opinion different to theirs, it doesn’t want you to think, or rock the boat. It wants you apathetic, consumers living and dying with barely a ripple. But I don’t want to be like that, and I hope you don’t either! It’s time for us to rise up, to believe big, to be unashamed of the gospel, because it is the power of salvation for all who believe. I’m not content to float along, earn an income have a nice family, a nice house, nice kids, nice grandkids and then die. I want to go to heaven, and my aim is to take as many people with me as I can. If you are happy being apathetic, then you’re in the wrong church, because Ignite is filled with people who want to change the world! I for one will not go quietly into the night. I will not stand by and watch the country I love descend into moral anarchy without standing up for what is true and right and honourable. If you are apathetic, then this is your opportunity to change. We will all be judged, at the Great White Throne or the Judgement Seat of Christ. If you don’t know Christ, the Bible says you are going to an eternity in hell, separated from everything good forever. Remembering all the times you could have come to Jesus for eternity is like the hell of hells, and I cannot finish this message without inviting you to come to Jesus. Don’t live a worthless life in mundane apathy and conformity, come to Jesus now and change the world! For the rest of us, I’m going to challenge all of us to stand for what is right, to step up and become all we can be in Christ, wherever we are. If you want to float along in apathy, that’s your choice, but there will be consequences. If you want to make your life count for Jesus, come forward and stand for Him!